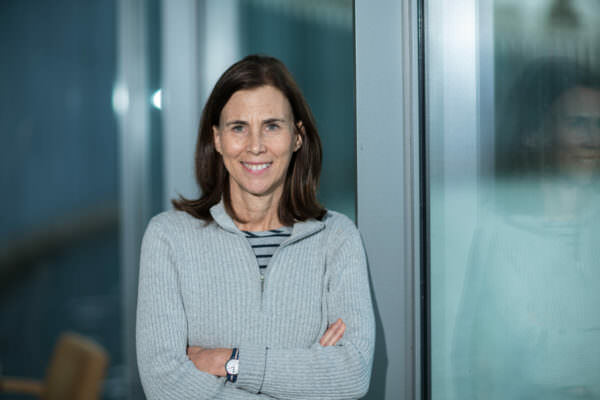 This month we are excited to hear from Jennifer Lippincott-Schwartz, whose past and present positions are as diverse as the scientific fields that her research encompasses. 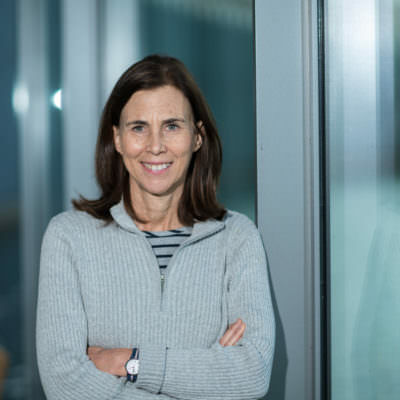 She is currently a senior group leader at the HHMI Janelia Research Campus and Co-director of the Physiology Course at the Marine Biological Laboratory at Woods Hole. Previously, Lippincott-Schwartz served as Chief of the Section on Organelle Biology at the NICHD, Distinguished Investigator of the NICHD Advanced Microscopy Facility, and President of the American Society for Cell Biology (ASCB, 2014). Lippincott-Schwartz is known for pursuing research that encompasses all STEM fields to reveal the inner workings of cells holistically. Her approach leads to an intuitive understanding of biology since life is driven by biological principles not in isolation, but in concert with physical, chemical, and mathematical ones. 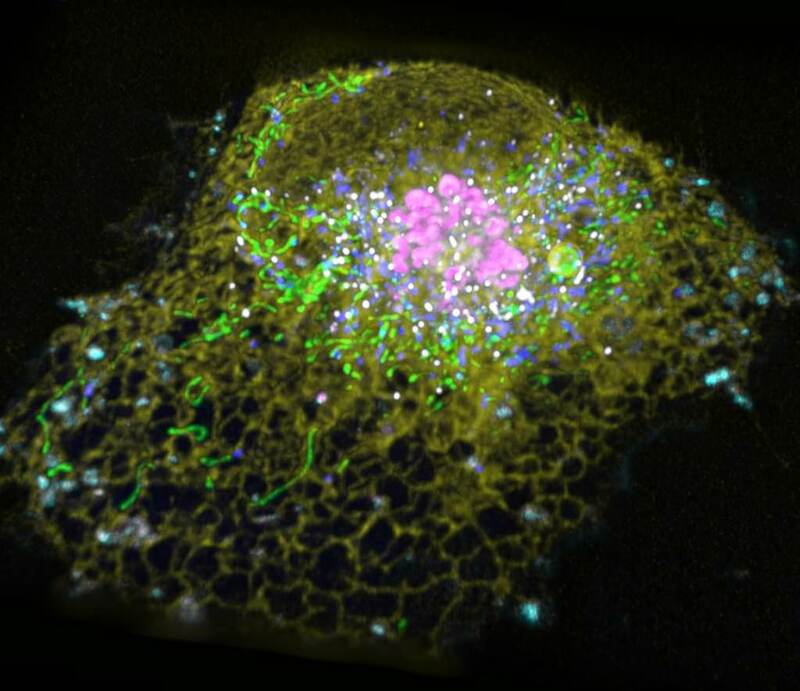 The Lippincott-Schwartz lab specializes in studying the dynamic inner processes of cells using a super-resolution microscopy technique called photo-activated localization microscopy (PALM), which relies on the photo-activatable versions of fluorescent molecules synthesized in the Lippincott-Schwartz lab. This entrepreneurial endeavor to synthesize fluorescent probes was sparked by Lippincott-Schwartz’s early work as a tenure-track PI at the National Institutes of Health, where she used green fluorescent protein to label and study components of the secretory pathway. Her lab continues to focus on dynamic molecular processes occurring inside cells and how these are collectively important for the development and function of large-scale systems like the brain. Recently, the lab used six-color fluorescent microscopy (both lattice light sheet and confocal) to reveal the live distribution and dynamics of the organelle interactome (Valm, et al. Nature, 2017). The lab also made the stunning revelation that the peripheral endoplasmic reticulum is made up of a dense network of tubules, rather than large membrane-bound sheets (Nixon-Abell, et al. Science, 2016). Lippincott-Schwartz has received many honors, including election into the National Academy of Sciences in 2008, election into the National Institute of Medicine in 2009, and the Keith Porter Award from ASCB in 2011. 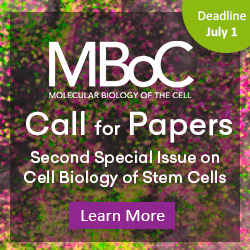 To add to her list of roles, she serves as an editor for The Journal of Cell Science, Current Protocols in Cell Biology, and Molecular Biology of the Cell. What excites you most about your current work? Peering inside cells with new imaging technologies almost always reveals unexpected things about how cells are organized and functioning. I delight in trying to make sense of this, including why any particular organization or structure dictates a specific set of cellular functions and how this fits into a larger developmental/evolutionary/ecological picture. Can you describe one experience from your life or training that set you on this path? As a graduate student, I used immunofluorescence microscopy to screen a library of monoclonal antibodies against a preparation of semi-purified clathrin-coated vesicles. Since each antibody recognized a different protein, what I saw was an amazing display of beautiful subcellular organelles (representing the endocytic pathway), which never before had been described in this context. I knew then and there that I wanted to apply microscopy approaches to understand the organization and function of these and other organelles. What is one part of your current position or project that you find challenging? Being interrupted by the various demands that are typically made on a senior scientist, including reviewing papers, attending scientific meetings, writing recommendations, etc. These activities are necessary for the proper functioning of the scientific enterprise, but they can be very distracting to one’s research. 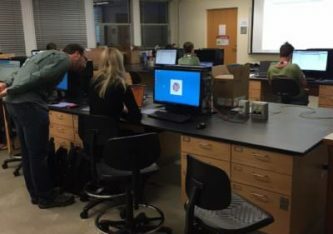 Do you have any specific advice about establishing or running a lab for new or aspiring faculty? Don’t rush to grow your lab size too quickly. It becomes very difficult to be ‘hands-on’ and to do experiments yourself once your lab becomes larger than a handful of people. What (if any) are your preferred methods for training your students to become independent scientists? Let your students play a big role in developing their own projects. Recognize their strengths and direct them into using these strengths. Forcing a student to work on a project that they have no natural proclivity or inclination toward is a recipe for disaster. Encourage your students to attend meetings (especially ASCB’s annual meeting) so that they can more clearly understand how their work fits into the larger goals of the field. This will also allow them to find scientific colleagues to share their ideas and grow with. What’s your best time-saving shortcut/lifehack? When I am at work, I am ‘all in’. When I am at home I try and disengage. That way, I am refreshed each time I go to work. What’s your favorite to-do list manager (digital or analog)? I have a pad of paper with my to-do lists in order of importance. Deadlines are always on my calendar. What apps/software/language/tools can’t you live without? Besides your phone and computer, what gadget can’t you live without? And how do you use it? I can survive fine with no gadgets, but I like my iPad for reading and iPod for music while traveling or running. When/ where do you find the most creative inspiration for your research? Usually, it is from trying to interpret microscopy data, but I also get inspiration from reading the literature and hearing other people’s discussion of ideas. Finally, when I am alone taking a walk or running. What is one thing you never fail to do (in or outside of lab), no matter how busy you are? 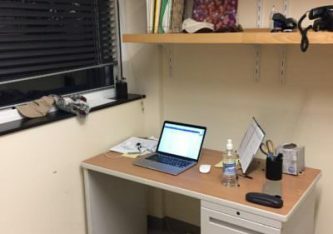 Currently, I am co-directing the Marine Biology Laboratory’s Physiology Course with Rob Phillips and Wallace Marshall, and this is my workspace here. Who is one of your scientific heroes, and what is one quality you admire in that person? A living hero—Ron Vale. I admire his devotion to communicating and spreading science in novel ways. An ancient hero—Leonardo Da Vinci. He was an incredible observer of nature and had no bounds on the questions he investigated. What do you like to read, learn, or think about outside of lab? Unquestionably, the history and philosophy of science. I am fascinated by how scientific ideas and technologies emerge and how different fields of science undergo cross-fertilization. Are there any causes or initiatives in or outside of science that you are particularly passionate about? I am passionate about cell biology as a field of scientific endeavor. There are many ways to study life, but having insight into the parts of cells and how they operate from a structure/function perspective impacts all aspects of biological understanding. It is only with knowledge of such structure/functions relationships that physics and metabolism occurring inside cells can become understandable, and with this, useful insight into health and disease states of organisms possible. What’s the best advice you’ve received or some advice you’d like to share with trainees? Choose a project to work on that you are passionate about, not what might seem safe or what ‘fits in’. Kira Heikes is a graduate student in Bob Goldstein's laboratory at UNC-Chapel Hill. She is currently studying embryonic development in tardigrades. Twitter: @KiraTheExplora Email: kiraheikes@gmail.com.